Kolkata, April 26 (IANS): Returning to the team with a bang, Rajasthan Royals pacer Varun Aaron attributed his improvement as . 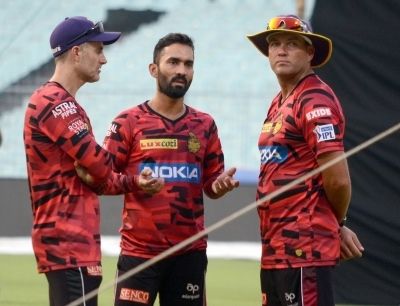 . .
Kolkata, April 26 (IANS): After Rajasthan Royals defeated Kolkata Knight Riders (KKR) by three wickets here skipper Dinesh Karthik criticised . . .
Kolkata, April 26 (IANS): Jofra Archer, who will be leaving Rajasthan Royals to join the England camp for the upcoming . . .
Sam Billings suffered a dislocated shoulder on Thursday which threatens to rule the wicketkeeper-batsman out of England action next week. Billings . . .
Kolkata, April 26 (IANS): Rajasthan Royals skipper Steve Smith will leave the ongoing edition of the Indian Premier League (IPL) . 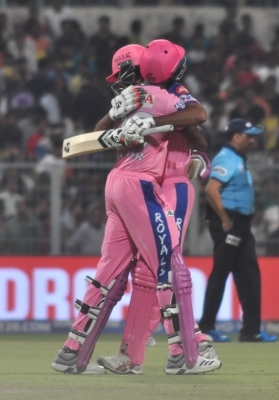 . .
Kolkata, April 26 (IANS): Rajasthan Royals rode teenager Riyan Parag's heroics to keep their hopes of a playoffs berth alive . . .
Jaipur, April 25 (IANS): Harmanpreet Kaur, Smrithi Mandhana and Mithali Raj will lead the Supernovas, Trailblazers and Velocity respectively in . . .
Kolkata, April 25 (IANS): Under-fire skipper Dinesh Karthik sent a strong message to his critics with an unbeaten 97 as . . .
Kolkata, April 25 (IANS): Rajasthan Royals skipper Steve Smith won the toss and elected to field first against Kolkata Knight . 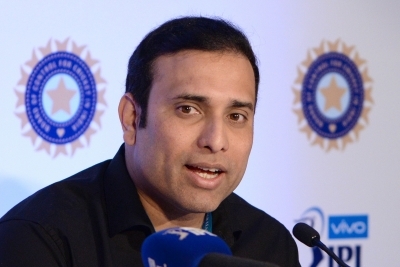 . .
New Delhi, April 25 (IANS): The Board of Control for Cricket in India (BCCI) Ombudsman D.K. Jain might have issued . 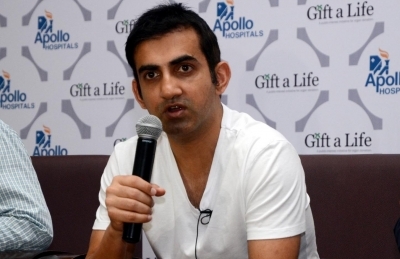 . .
New Delhi, April 25 (IANS): Cricketer-turned-politician Gautam Gambhir on Thursday said that he will work for making Delhi best place . . .
England have another injury problem to check on ahead of the summer’s one-day cricket after batsman Sam Billings suffered a . . .
Bengaluru, April 25 (IANS): Royal Challengers Bangalore skipper Virat Kohli's aggression on the field found its match in Kings XI . . .
Dubai, April 25 (IANS): Both Oman and the USA secured ODI status and a spot in the ICC Men's Cricket . 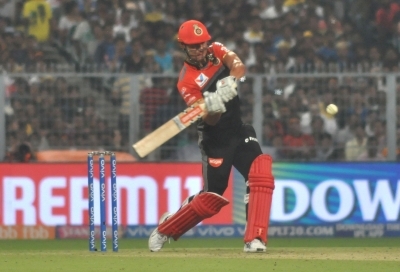 . .
Bengaluru, April 25 (IANS): Royal Challengers Bangalore (RCB) received a major setback on Thursday as their pace spearhead Dale Steyn . 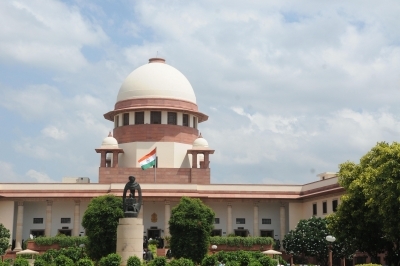 . .
New Delhi, April 25 (IANS): The Supreme Court bench of Justices S.A. Bobde and A.M. Sapre is expected to hear . . .
Dubai, April 25 (IANS): Oman has moved to the brink of securing an ODI status and a spot in the . . .
Mumbai, April 25 (IANS): GS Caltex India, a 100 per cent owned subsidiary of GS Caltex Corporation, South Korea, has . 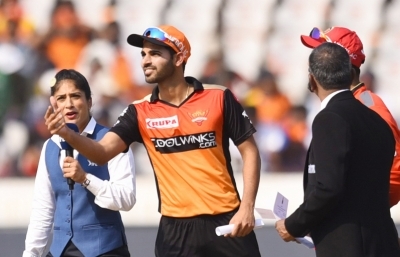 . .
Bengaluru, April 25 (IANS): Umpiring howlers refuse to end in the 12th edition of the Indian Premier League, and on . . .
Bengaluru, April 25 (IANS): Former Proteas skipper AB de Villiers was undoubtedly the star of the show on Wednesday night . . .
Somerset made it three wins out of three in the Royal London One-Day Cup after beating previously undefeated Sussex by . . .
Bengaluru, April 25 (IANS): Having started really well, Kings XI Punjab lost the game against Royal Challengers Bangalore thanks to . 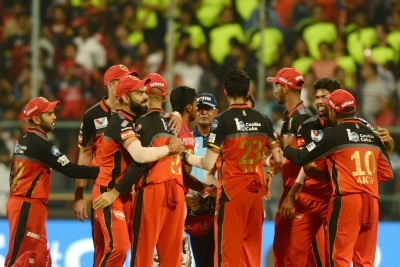 . .
Bengaluru, April 25 (IANS): It looked like another night where the famed Royal Challengers Bangalore batting line-up was set to . . .
Barbados, April 25 (IANS): The Windies announced their World Cup squad late on Wednesday as Andre Russell and Chris Gayle . 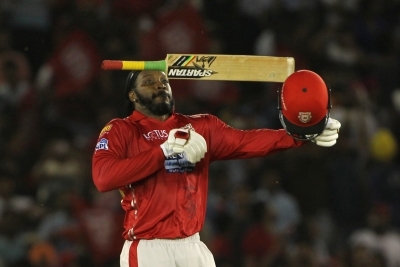 . .
Bengaluru, April 25 (IANS): Royal Challengers Bangalore rode A.B. de Villiers' half century to record their third successive win on . . .
Bengaluru, April 24 (IANS): A.B. 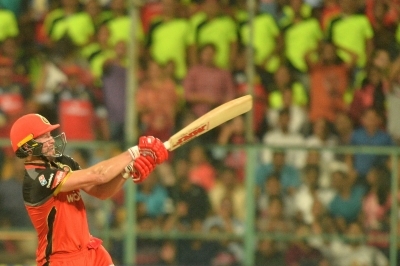 de Villiers cracked an unbeaten half-century as Royal Challengers Bangalore (RCB) posted a mammoth 202/4 . . .
New Delhi, April 24 (IANS): Mumbai Indians (MI) mentor Sachin Tendulkar and his Sunrisers Hyderabad (SRH) counterpart V.V.S. Laxman have . . .
Bangalore, April 24 (IANS): Kings XI Punjab (KXIP) skipper Ravichandran Ashwin won the toss and opted to bowl against Royal . . .
Kolkata, April 24 (IANS): Dinesh Karthik getting the nod over Rishabh Pant in India's 15-member squad for the World Cup . . .
New Delhi, April 24 (IANS): With numerous interim applications pending before the Supreme Court, amicus curiae P.S. Narasimha met officials . . .
Bangalore, April 24 (IANS): After a lacklusture show in 2018, Australia started this year on a good note as they . . .
Mumbai, April 24 (IANS): On Sachin Tendulkar's 46th birthday on Wednesday, Bollywood personalities like Lata Mangeshkar, Anil Kapoor and Shahid . . .
New Delhi, April 24 (IANS): With 14 points from 11 games, Delhi Capitals (DC) are sitting pretty at the second . . .
Kolkata, April 24 (IANS): Under the pump for the first time as Kolkata Knight Riders' (KKR) skipper, Dinesh Karthik's leadership . . .
New Delhi, April 24 (IANS) Termed by many as the 'God of Cricket', Sachin Tendulkar turned 46 on Wednesday as . . .
Chennai, April 24 (IANS): After helping Chennai Super Kings (CSK) return to winning ways by smashing a brilliant 96-run knock . . .
New Delhi, April 24 (IANS): Rajasthan Royals all-rounder Ben Stokes took the Indian Premier League by storm in 2017 as . . .
Chennai, April 24 (IANS): The Chennai Super Kings (CSK) is one team who have been consistent ever since the inauguration . . .
Aiden Markram starred with bat and ball as holders Hampshire made it three straight wins in the Royal London One-Day . . .
Chennai, April 24 (IANS): After facing two consecutive losses, Chennai Super Kings (CSK) returned to winning ways in the ongoing . . .
Hyderabad, April 24 (IANS): Strong winds that wreaked havoc in Hyderabad on Monday night, blew away a major portion of . 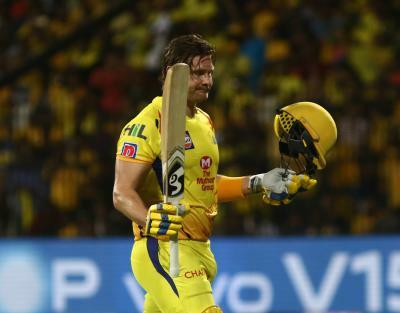 . .
Chennai, April 24 (IANS): Shane Watson smashed a belligerent 96 as Chennai Super Kings zoomed back to the top of . . .
Chennai, April 23 (IANS): Manish Pandey and David Warner struck half-centuries as Sunrisers Hyderabad posted 175/3 in 20 overs against . 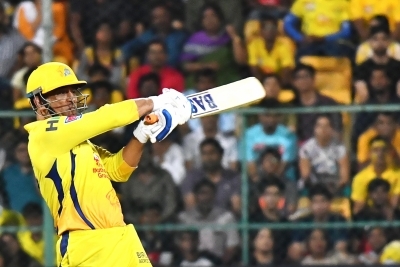 . .
Chennai, April 23 (IANS): Chennai Super Kings' skipper MS Dhoni won the toss and opted to bowl against Sunrisers Hyderabad . . .
Kolkata, April 23 (IANS): Kolkata Knight Riders head coach Jacques Kallis on Tuesday said he hasn't been in touch with . . .
Mumbai, April 23 (IANS): On the occasion of Sachin Tendulkar's 46th birthday on Wednesday, JetSynthesys, a digital entertainment and gaming . . .
New Delhi, April 23 (IANS): Ahead of the biggest & first ever Global Sports Fan Awards, Sugumar D., an ardent . . .
New Delhi, April 23 (IANS): Left-arm South African fast bowler Beuran Hendricks has signed with the Mumbai Indians as a . . .
New Delhi, April 23 (IANS): With 26 runs needed off the final over, anyone would say that the bowling team . . .
Chennai, April 23 (IANS): Sunrisers Hyderabad (SRH) skipper Kane Williamson will miss out on Tuesday's Indian Premier League (IPL) match . . .